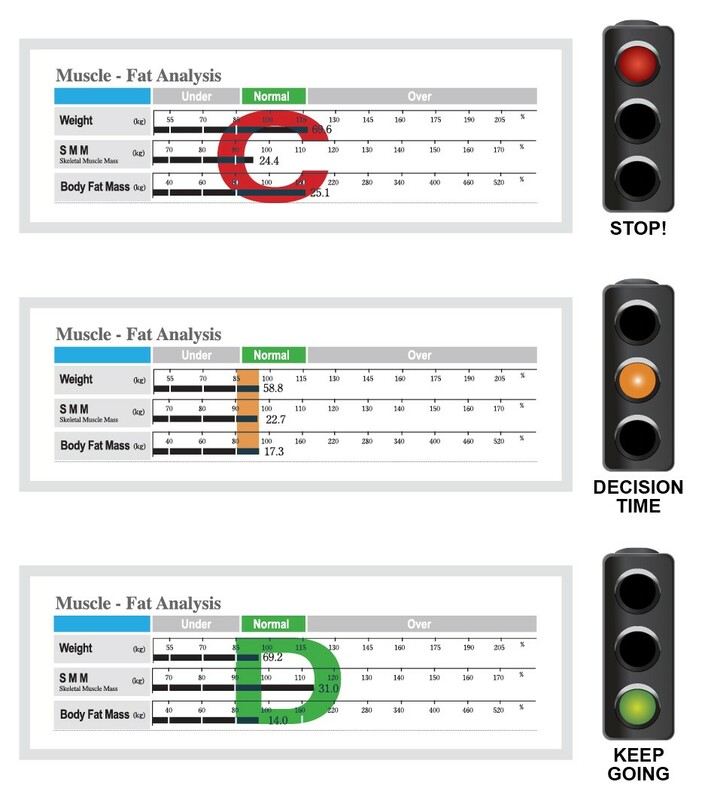 The InBody results sheet interpretation provides an extensive array of relevant and specific parameters relating to body composition. A full interpretation guide is provided whenever a scan is completed, however the unique feature of InBody is the ability to interpret the results in a very simplistic manner. Locate the muscle fat analysis on your InBody scan, generally located towards the top part of your scan. From this we want to look at what your results mean. The muscle and fat analysis component of the InBody scan is an effective and quick indicator of your overall results of your scan. It will create a generalised shape which is a good marker to determine your overall body composition balance. The three predominant shapes are C, I and D and form a “Traffic light system”. Possibility of having a much lower risk factor of health related diseases when in comparison to the C and I. *Please note that this method is a simple, generalised interpretation of your results. For a more comprehensive overview please refer to your InBody interpretation guide under the guidance of your healthcare professional.